Sava Tsolis is the founder and Principal Clinical Psychologist at Insight Psychology Group. He has many years experience working in both public and private settings with children, adolescents, adults and older adults. His qualifications include a Bachelor of Arts with Honours Degree in Psychology from Macquarie University and a Master Degree in Clinical Psychology from the University of New South Wales. Sava has run group programs in the past that focus specifically on anxiety disorders and social skills training in younger children. In addition to his work in private practice, Sava worked as principal Clinical Psychologist in the Oncology and Colorectal units at Concord Repatriation General Hospital for 5 years. He also has extensive experience in the area of Chronic Pain Management as a result of his work in the Concord Hospital Pain Clinic. This highly challenging area continues to be a major interest for him. Sava has also received specialist training and experience working with Anxiety Disorders at the Centre for Emotional Health Clinic at Macquarie University, a leading anxiety treatment and research centre. The anxiety disorders and issues that Sava works with include social anxiety, panic attacks and panic disorder, generalised anxiety, specific phobias, obsessive compulsive disorder, public speaking fears and other anxiety-related difficulties. As a therapist, Sava seeks to work sensitively and collaboratively with his clients, embedding his therapeutic approaches in a relationship of trust and support. Sava’s experience with an extensive range of therapeutic modalities allows him to adopt an integrative approach to therapy that is flexible and relevant. Sava tailors his treatments to suit each person and their goals, in order to cultivate a personalised service that resonates with the individual and their unique needs. 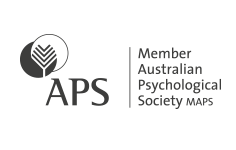 Sava is fully registered with the Psychology Board of Australia and has specialist endorsement as a Clinical Psychologist. He is also a member of the Australian Psychological Society and the Association for Contextual Behavioral Science Network. 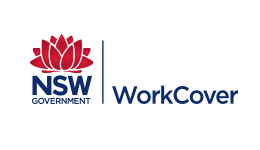 Furthermore, Sava is an authorised Work Cover treatment provider. 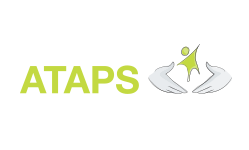 He is also a registered provider under the Access to Allied Psychological Services (ATAPS) program in South Western Sydney. Kristy Delmas is a Clinical Psychologist with several years experience working in public, private and not-for-profit psychology settings. Her qualifications include a Bachelor of Arts degree with Honours in Psychology from Macquarie University and a Masters Degree in Clinical Psychology from the University of New South Wales. She has also completed a Postgraduate Certificate in Older Person Mental Health with the NSW Institute of Psychiatry. Kristy has had significant experience working with individuals across the life span (including children, adolescents, adults and older adults) and is familiar with the mental health issues that can impact people at all ages. She is skilled at conducting thorough assessments of presenting problems and the context in which they occur. She is also skilled at implementing evidence-based therapy to individuals and couples. 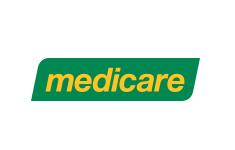 Apart from working in private practice, Kristy has had considerable experience working with older adults in the public health sector. She thus has intimate knowledge of the unique challenges that are faced by this population and can tailor a variety of evidence-based treatments to suit their needs and goals. Kristy has also worked at the Black Dog Institute, a not-for-profit organisation specialising in mood disorders. In this context, she managed a number of research projects on bipolar disorder. She has also published research articles in the area so is therefore up-to-date with the latest assessment and treatment techniques for the disorder. Finally, Kristy has had extensive training in childhood anxiety disorders through the Centre for Emotional Health Clinic at Macquarie University. In this setting, Kristy ran a number of individual and group programs for children diagnosed with a range of anxiety disorders and their parents. Kristy takes an empathic, non-judgemental and collaborative approach to working with her clients. As she believes that each client faces unique challenges, her treatment plans are highly individualised and tailored to suit client needs and goals. 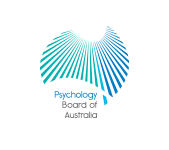 Kristy is fully registered with the Psychology Board of Australia and has specialist endorsement as a Clinical Psychologist. She is also a member of the Australian Psychological Society and the Association for Contextual Behavioral Science Network.